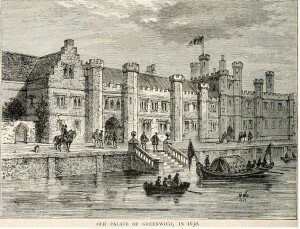 Today in 1533 Princess Elizabeth, daughter of Henry VIII and Anne Boleyn, was christened at the Church of Observant Friars in Greenwich. There is a wonderful description of the christening celebrations in “Letters and Papers, Foreign and Domestic, Henry VIII, Volume 6: 1533″ that I want to share with you. “All the walls between the King’s place and the Friars were hanged with arras, and the way strewed with rushes. The Friars’ church was also hanged with arras. The font, of silver, stood in the midst of the church three steps high, covered with a fine cloth, and surrounded by gentlewomen with aprons and towels about their necks, that no filth should come into it. Over it hung a crimson satin canopy fringed with gold, and round it was a rail covered with red say. 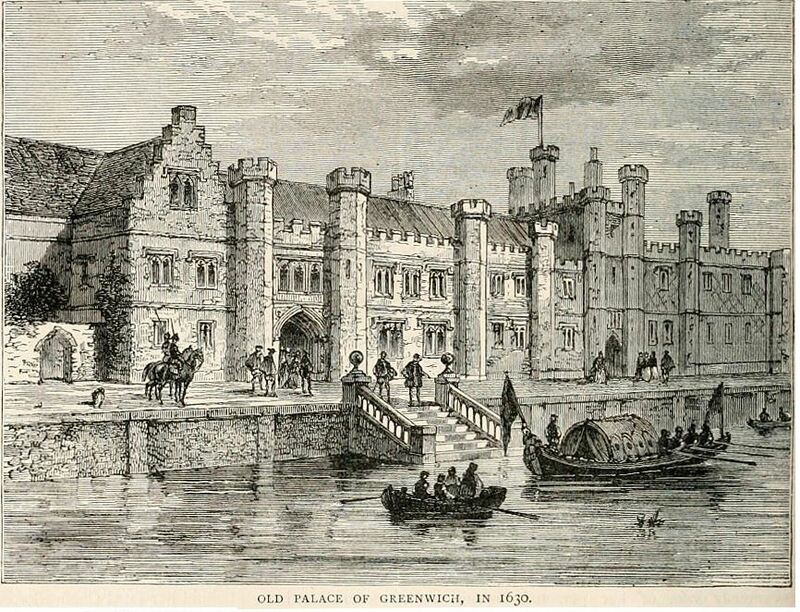 Today in 1533 the future Queen Elizabeth I was born at Greenwich Palace, she was the daughter of Henry VIII and his second wife, Anne Boleyn. The birth was quick and the baby was healthy, it was said she had her father’s complexion and her mother’s dark black eyes. Anne entered her confinement on the 26th August. There had been a lot of anxiety leading up to this date as it appears Anne had some difficulties in the later stages of her pregnancy. 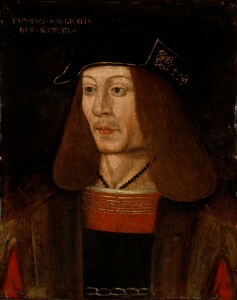 Eric Ives explains how Henry was said to have “been at his wits end, even hoping for a miscarriage if it would save Anne’s life”. Anne eventually gave birth to Elizabeth less than 2 weeks into her confinement. The birth was straightforward and Henry was hugely relieved that his wife and child were safe. 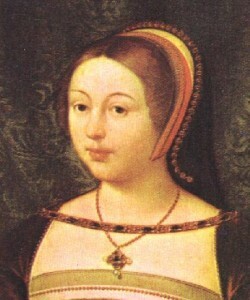 Henry and Anne named their baby Elizabeth, after both their mothers. Anne of Cleves – The Lucky One? 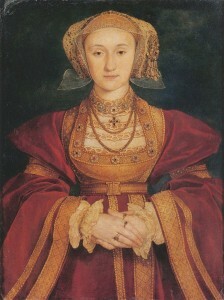 Anne of Cleves, Henry VIII’s 4th wife, was buried in Westminster Abbey on this day in 1557, outliving Henry by 10 years. Whenever we talk of Henry VIII’s wives it is often said that Catherine Parr was the wife who outlived him and that this somehow makes her the lucky one. This is indeed true although Catherine only managed to outlive Henry by 1 year 7 months, dying herself in September 1548. I believe out of all of Henry’s wives, the one who got the best deal was in fact Anne. 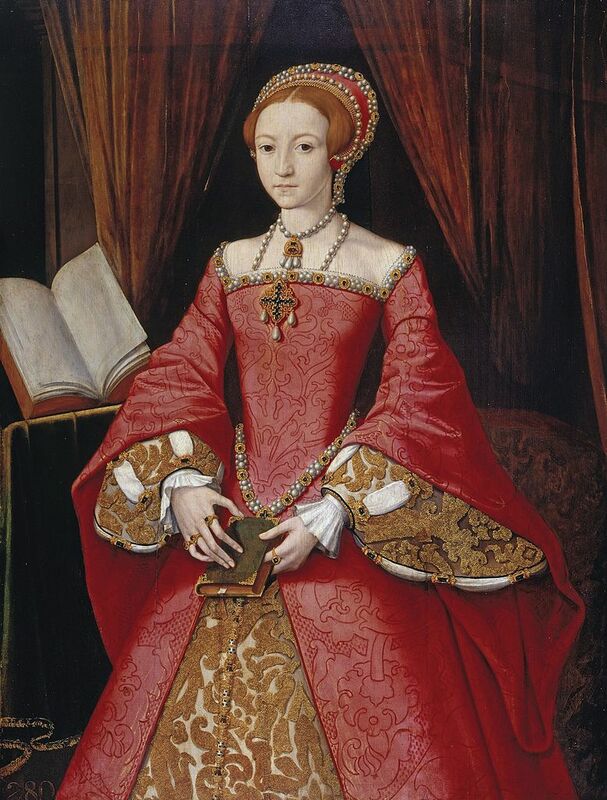 Let’s take Catherine Parr as the contrasting example. Catherine spent 3 and a half years married to Henry and spent much of that time being his nursemaid as well as helping him reconcile with his children, who she had a close relationship with. This was a marriage based on duty to her King and country.